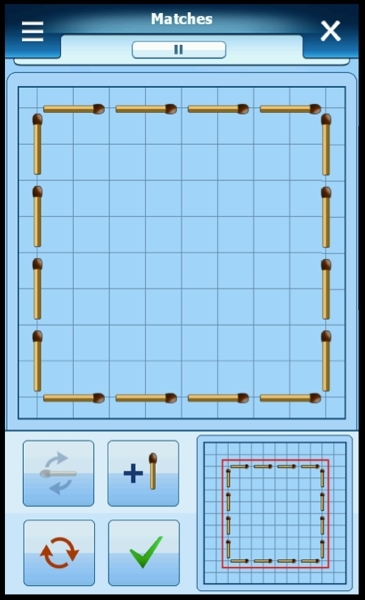 "SPB Brain Evolution is an intellectual software game that helps to train the brain and improve memory, logic, arithmetic, and puzzle-solving skills. The application is a suit of 12 games, which have to be played in sequence: only good results in a game, unlock the next one." If you like brain stimulation games this combination of challenges will have you engaged right from the start. There are actually 12 games included in the suite, and among these are Brain Marking, Brain Training, Sudoku, Guess Who, Numbers, Pairs, Matches, and Minesweeper. There's only benefit from exercising the mind at these types of challenges, so what are you waiting for? Hit the Read link to get more details. I played this on WM and one of my bigger complaints was that I couldn't go back to an "easier" level of a certain mini game without starting a new profile. There are times that I just wanted a quick game on a level I've already passed, but couldn't do that. I'd potentially be interested in the game if they have changed that restriction as it's a decent collection of puzzle games, but if we're still locked into ever-increasing levels, I'm not as interested. I seem to remember there were some complaints about the matchstick game as well with perfectly valid solutions not being accepted. (I imagine a common problem with those sorts of games) I'd love to read some actual reviews of the game from newer users to see what they have to say. Time will tell, though. Nice to see Spb finally supporting Windows Phone 7!